In the making of a bespoke suit, the tailor will use your measurements to cut out a suit that takes into account all the proportions and the peculiarities that your suit may require. In at least 2 fittings, the form and the style details of the suit will be made and perfected. In the making of Gowri’s bespoke suit, we use only traditional handicraft methods that have been used for centuries. 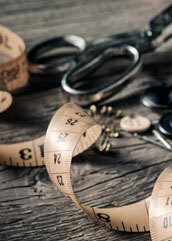 It will take up to 24 working hours for the tailor to make one bespoke suit. In case any advice is needed, we can always recommend the most modern and stylish cuts of the suit, the details of the suit in which your personal style manifests in the best way possible, and the kind of lining which gives your suit the perfect characteristics. England’s Thomas Fisher, Holland & Sherry, the silk of James Hare, Dormeuil and Scaba that are known from mainland Europe, Ermenegilda Zegna ja Loro Piano from Italy. 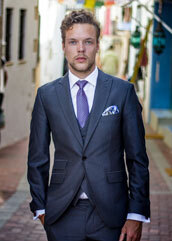 Bespoke suit fabric choice varies from Super 120 fabrics to cashmere and delicate blends of silk. 1. Fabric — choose your suit fabric from the finest of Europe. 2. 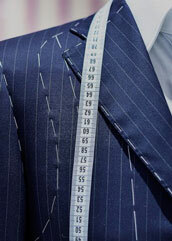 Measurements — we make the suit by taking precise measurements from you. 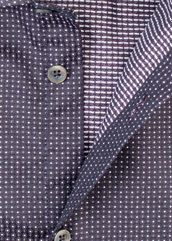 It is necessary to have at least 1 fitting appointment to make any necessary corrections to the suit. 3. Design — choose the suit cut and style details. Waiting period is 3-5 weeks (depending on the fabric). Ordering from Gowri Style House (Rüütli 28, Tallinn, Estonia). Looking to make a gift? 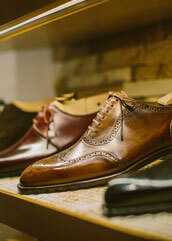 See our bespoke suit gift certificate.